Skutt Touchscreen Controller Retrofit for your Kilnmaster or Glassmaster Controller. 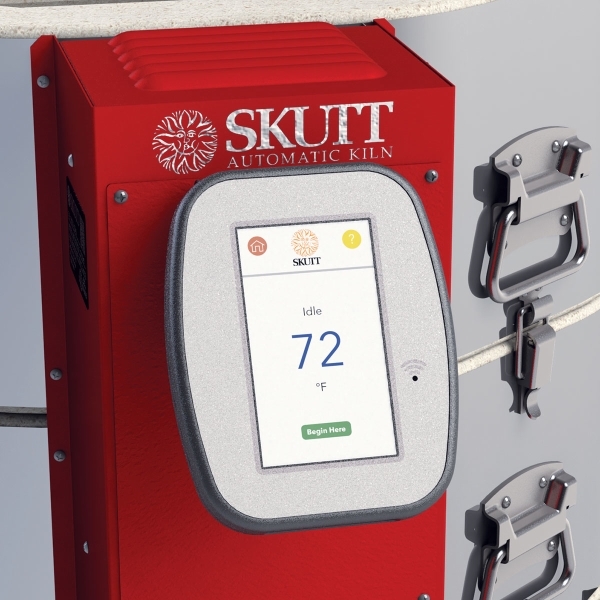 Now Available After years of research, development and product testing, the New SKUTT Touchscreen controller is available on new Skutt KilnMaster (KMT) and GlassMaster Kilns ( CHOOSE THE "GMT" UPGRADE OPTION). You can retrofit existing your existing kiln with this easy to install Upgrade Kit!! Built-in WiFi makes it possible to download any software feature updates for free. 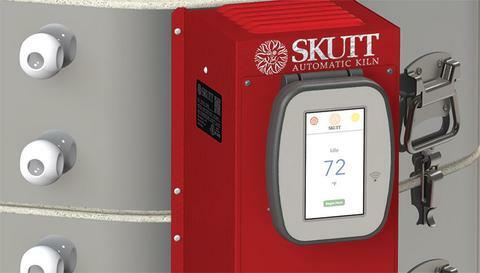 It is like having a new Kiln Controller for the life of the kiln. 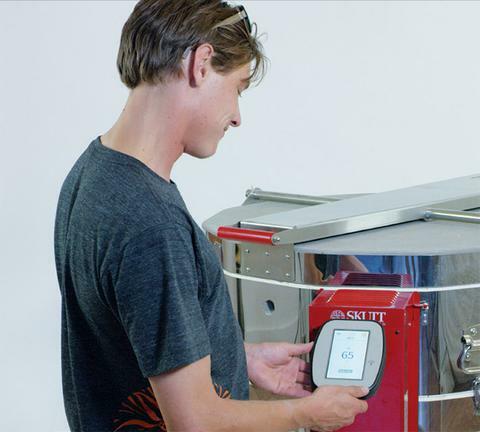 A Free App works in conjunction with the WiFi and allows you to monitor your kiln temperature and status from your smartphone. Think how comforting it will be not to have to get out of bed or drive across town to check your kiln. Write New Program – Allows you to easily input your own firing programs. Now you can Name Your Programs and store them in My Programs for easy access. You can even Copy Programs you like, but want to change slightly to speed up the programming process. Program Library – We have added a program library with helpful programs for unique processes like Slow Sculpture, Bottle Slumping, and Cone 5 Crystal Glaze.